What is your specialty? 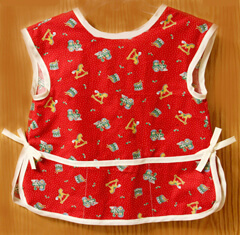 Sewing mothers and daughters aprons, making canvas bags to hold plastic grocery bags, and making tote bags, although in the past I have made various craft items, including American Girl doll clothes. Jan says, “I make the canvas bags that hold the reusable plastic bags we get from the grocery store. 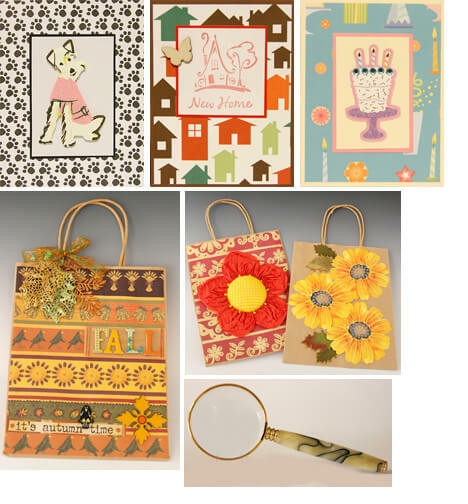 They are totally hand-made as I buy the canvas by the yard, measure, cut, applique, paint and sew them. I have been making these for probably 14 or 15 years. Each one is original and some people have asked for specific designs such as cats, fish, sunflowers, and a particular breed of dog. 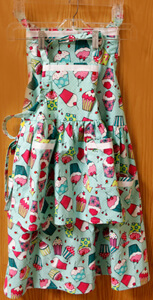 “I also make lots of aprons, including matching mother-daughter aprons. Folks have asked me to make father-son aprons, too, maybe with a barbeque theme. You might see them in the shop before too long.